Turkey with a zesty cheese sauce is the perfect lunch ! Mix mayo, yogurt, cheese, basil, lemon juice and pepper. 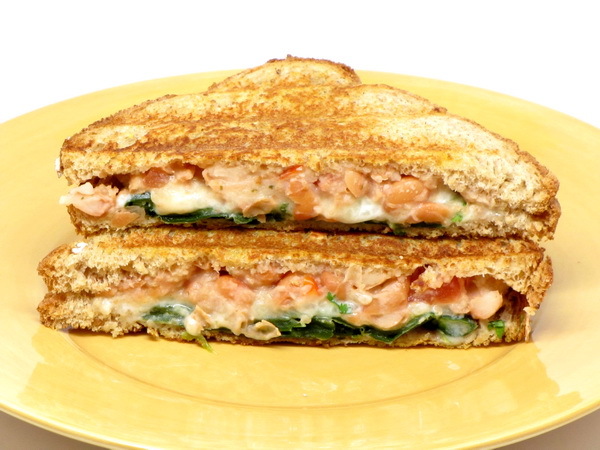 Spread 2 t of the mixture on each slice of bread and then fill the sandwiches with turkey and tomato. Heat 1 t oil in a large nonstick pan and put in 2 sandwiches. 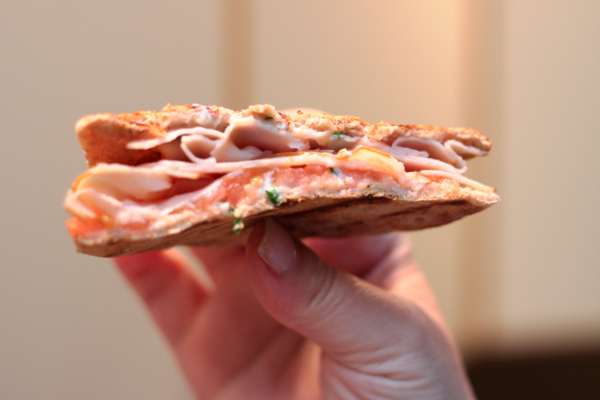 Use a Panini press to weight down the sandwiches. Cook until golden, about 2 minutes. Spray the top with I Can’t Believe It’s Not Butter Spray and then flip the sandwich and cook until the second side is golden. Repeat with the 2 remaining sandwiches. The first batch of these did not quite hit the spot. 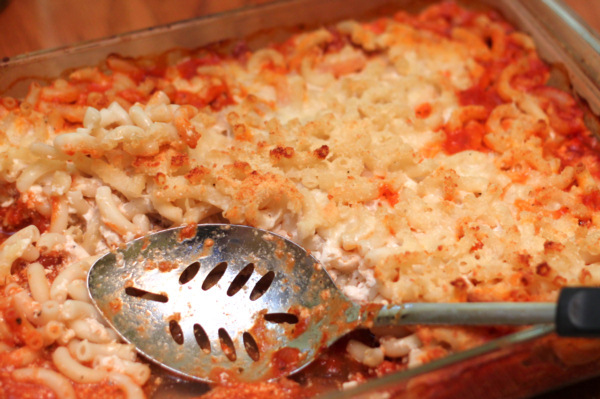 With a little tweaking, the recipe has become a great chilly treat for a hot summer day. I usually make them two tiered with halves of both the cantaloupe and honeydew melons. Mix 2 c of melon with yogurt, lime juice, honey, Splenda and zest and blend until smooth. Fill the pop molds, insert sticks and freeze at least 6 hours. Canteloupe – As a variation, replace honeydew with cantaloupe. 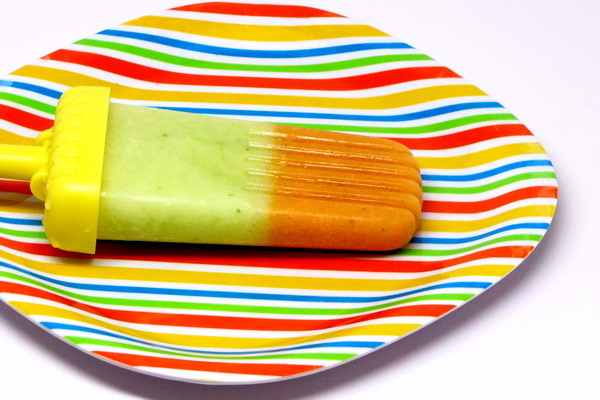 You may want to make both variations and make a layered melon pop. If you do this, freeze the first ‘layer’ for 1 hour – then add the second and insert the sticks and freeze at least 6 hours. Instead of a latte, try a shake when the weather gets warmer. 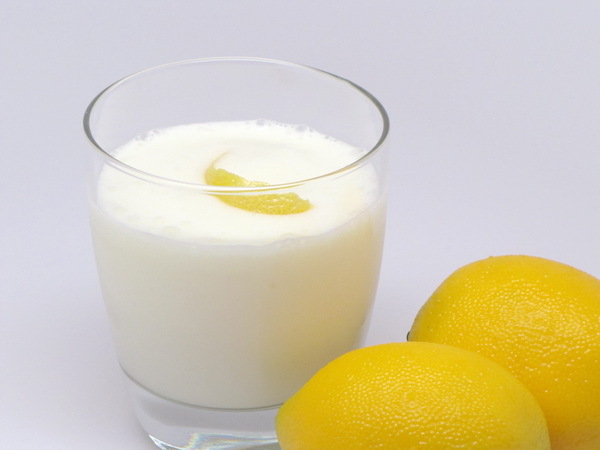 This one is so super refreshing – kinda like lemon sherbert, but not quite ! Place all in a blender and blend until smooth. 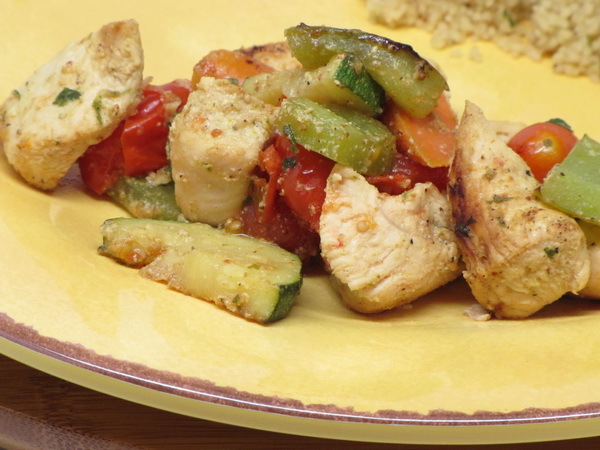 You know the drill – toss the skewers and throw this in a grill basket ! But I still call it a “Kabob” recipe so you can visualize it 🙂 The yogurt sauce is JUST PERFECT in this recipe. Serve with some cous cous on the side. For the marinade, mix yogurt, cilantro, lime peel and juice, oil, honey, mustard, garlic, curry, salt and pepper. Place chicken in a zip loc and pour in the marinade and refrigerate 4-24 hours. Heat grill and spray a grill basket with Pam. Cook 15 minutes or until chicken is done, stirring occasionally so that all sides of the meat and veggies get browned. This is so completely and utterly delicious ! You won’t even miss the CREAM in this ice ‘cream’. 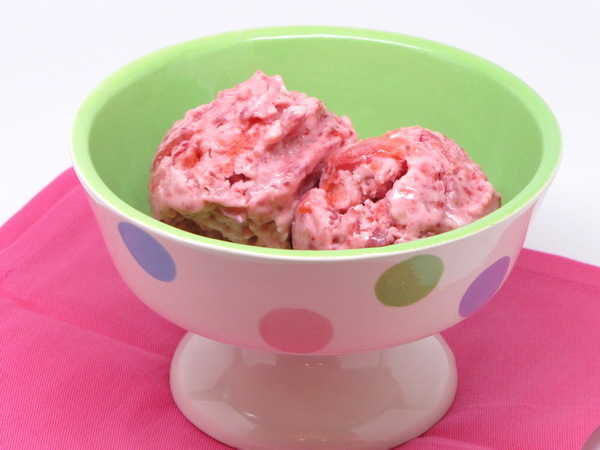 The yogurt and sugar make a great, sweet and creamy base and then the minced up frozen strawberries just take over and you have an explosion of flavor with each bite. This is an award winner. And at 70 calories per serving – soooooooooooo guilt free ! In food processor pulse 1 c frozen berries until finely chopped and then transfer to a metal bowl (a metal bowl will get colder quicker in the freezer). Process yogurt, sugar, vanilla and the rest of the berries – move to metal bowl and stir with the other strawberries. Cover and freeze 1 hour (do not let get too hard). 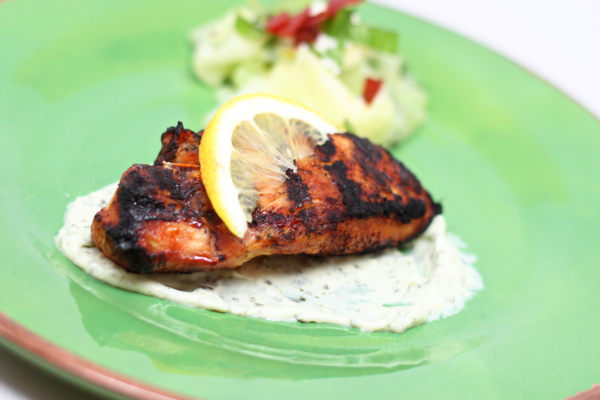 Simple grilled chicken made super special with the addition of a creamy pesto sauce. This is lightened up quite a bit compared to plain pesto and the sour cream and yogurt make a great cream base for the pesto flavor to shine. Serve this one next time you are grilling with friends. The pesto sauce can be made hours ahead and left in the refrigerator. Heat grill and spray with high heat Pam. Sprinkle chicken with salt, pepper and garlic powder. Grill chicken 4 minutes per side or until done. Meanwhile combine yogurt, sour cream and pesto. Spread pesto sauce on plate and serve chicken atop it. 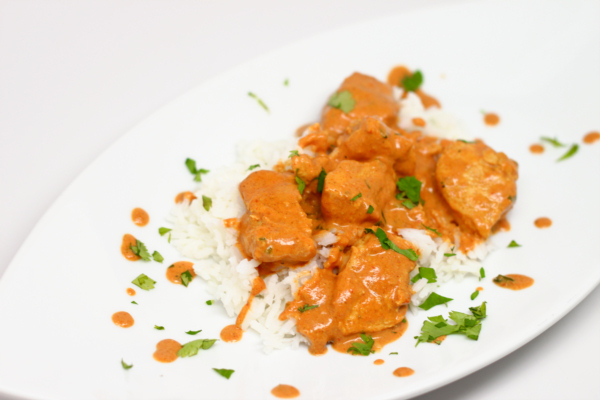 Looking for something a little spicy and a little different? This will definitely perk up your lunch ! The poblano pepper makes a great grilled sandwich – coupled with the bean and salsa mash, you barely want anything else – even the cheese becomes secondary (and that is often IMPOSSIBLE). Place peppers in a glass bowl, cover with plastic wrap and microwave 4 minutes to soften. Let sit covered until cool. Mix beans with salsa and salt and mash most of them to form a paste. Mix cheese with yogurt and cilantro. Heat a Panini maker or indoor grill with a press. Spread the bean mix on 4 slices of bread and then top with the cheese mix. Split the peppers in half and remove the seeds then place peppers over the cheese and finish the sandwich. Spray both sides of the sandwiches with 5-6 squirts of ICBINB spray. Grill until golden brown. This is one of my daughter’s favorite dishes and she made it up for me the other night. My goodness, this has to be one of the best things I have EVER eaten. You can taste each individual spice and it’s like heaven on earth. Melt butter and sauté garlic and jalapeno 1 minute then add all the spices, tomato paste mix and cream. Simmer 15 minutes to thicken. Add chicken and simmer 5 minutes to heat through. Garnish with cilantro. Cook potatoes 8-10 minutes in salted water. Add carrots and celery and cook another 4 minutes. Drain and place in a bowl and chill 2 – 24 hours. Mix mayo, yogurt, onions, vinegar, salt and pepper. Cover and chill until ready to serve. 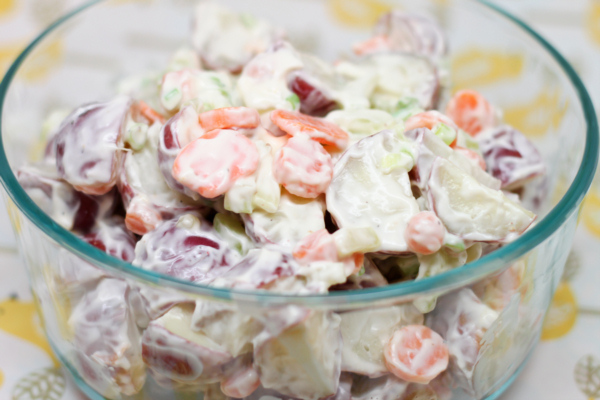 When ready to serve mix dressing with potatoes.